Thyroid problems can imitate many other problems and is a complex area of discussion. Thyroid hormone controls oxygen entrance into the cells and therefore our cells production rate of structures, chemicals and body temperature. Thyroid hormone affects physical activity, thinking, digesting food, detoxifying the body and tissue building. Low thyroid levels especially affect brain development in children. The thyroid also kicks in when no other processes are going on to keep the engine of our body running. It’s like a car idling. It is running, but has nowhere to go. The thyroid kicks in during the middle of the night when our body temperature drops while we sleep. You’ve probably experienced being suddenly hot in the middle of the night, that’s when the thyroid takes over. First morning body temperature can be used to indicate thyroid health. The thyroid hormone has 4 molecules of iodine attached to it when it is created and one molecule is stripped away at the cell membrane to make it fully active. 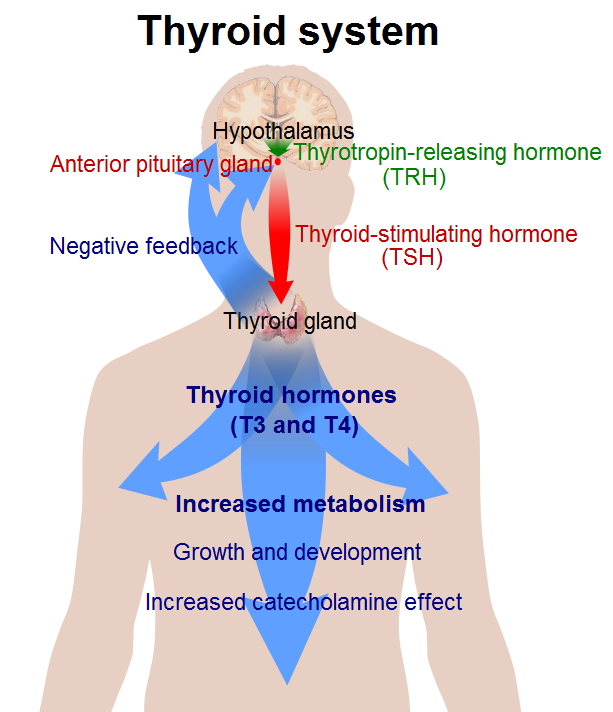 A major cause of thyroid problems is an iodine deficiency. That is why iodine is added to salt and it was very successful in helping thyroid conditions. Lately, as salt intake, has decreased for other health reasons, thyroid problems have returned. With this return of thyroid problems, supplemental or synthetic thyroid hormone is the order of the day and nothing is heard about iodine. Any support of the thyroid system must include iodine. A thyroid symptoms checklist is available to see if you have thyroid problems. Then a basal temperature test and an iodine patch test can be performed at home. The nutritional recommendation for thyroid conditions is Thytrophin (3), Prolamine Iodine(1), Cataplex Flexion (4) and Phosfood (30 drops).